Nowadays, information is necessary in improving productivity. Data collection from devices is one consideration point which Phoenix Contact specializes in. As many of you may know, several of our products have been integrated with signal indicators, such as power supply, Ethernet switch, surge protection etc. Question: Why are signals so important in this particular system? Answer: Because of dual PSU redundancy system, we always have spare power source in the event that we face problems from one of two power supply units. The purpose of the other device, which remains fully functional, is to provide a backup supply of energy to the system when the other unit fails. So the signal that indicates the non-functioning status of the failed unit can be sent to other systems which are integrated with this system via dry contact or analogue signals. Imagine systems such as QUINT and ORING [Fig – I], under normal circumstances, if the voltage between two PSU is the same level, the ACB function should be activated to balance supplied current to load. The signals are meant to display that the redundancy and ACB are functioning normally, and it should be indicated via terminal 13/14 and 23/24 to ORING device, connected via wiring. The indicators also show activity from the PSU side. They include terminal 13/14 and the QUINT V4 model not only includes 13/14, but also includes OUT 1 and OUT 2, indicating the current which they supply to load. All signals have been integrated to DCS or SCADA system. Every time when the system detect a fault, all system indicators would be displayed through the monitoring system in the user monitoring screen, triggering SMSes or emails to let operators know and respond to that alarm without any need to send someone to go on site and open the cabinet to investigate what the problem is. Moreover, we can use the data logging and monitoring systems to record any incoming signals in an archive; in case that we need to how frequently and when faults happen. In this scenario, the verification step is eliminated because the root cause will be indicated instantly via the monitoring system. To collect all the data from this system we only need 6 digital inputs and 4 analogue inputs. It is not too much IO in case we have to compare the benefit against the investment cost. If you have any queries, feel free to contact me via the form below! In a chemical process plant, emergency situations can be extremely costly, both in terms of equipment and human life. However, under such extreme circumstances, it is rare that operators are able to effectively shut down all of the valves and pumps in the process line. We were given two weeks to install an upgrade to their existing system, along with the programming. The idea was simple – interlock the whole system so that no matter which part of the line the operator was, he/she would be able to shut down the entire system from his/her location. We integrated Phoenix Contact’s Smart PLC Logic Relay and Human Machine Interface (HMI) into their system, splitting all of their valves and pumps in the process line into three zones. In the event of an emergency situation, the operator need only trigger the relay in one zone to shut down the whole process line. Instead of having to run to separate parts of the process line to shut them down individually (and quite possibly realising how much more they need to train their running stamina and cardio over the weekends), all the operators have to do is to trigger the nearest zone. This not only saves time and effort, but more importantly equipment repair costs and human lives. This one-touch-kill-switch also reduces the risk of the operator forgetting to shut down some of the more remote areas of the process line in the heat of the moment, which would undoubtedly lead to higher repair costs. Easy troubleshooting on HMI with clear indication of which zone the emergency button was activated. Easy maintenance work with interchangeable plug-in elements. Reduced risk of system failure. Allows greater flexibility for future system modifications. Traceable data logging of system information. IIOT, or the Industrial Internet of Things, is not a new term. Regrettably, many companies are still not developing sound approaches to adopt them. Take for example refineries. Traditional data analytics such as spreadsheets are still being used to analyze processes and trends; using historic data to make operational decisions. Refineries store millions of databases and at times it becomes challenging for engineers to extract information from a cesspool of data. To make matters worse, varying branches of the organization may utilize foreign systems which proved difficult when systems needs integration. As a result, refineries are considered to be data rich but in hindsight, information poor. In a traditional data-analytic methodology, it is acceptable for engineers to find themselves stranded with missing data. The solution? Most rely on “Experience” or so-called intuition to solve their engineering woes and make “informed” decisions. Guilty as it might seem, ask any engineer who have worked in refineries and they might just confess to using this ‘archaic’ technique. Refineries of the future (or refineries who will sustain in the future) will need to change a different tack towards how they organize their data. Engineers can employ advance data analytics to analyze and make comparisons to several vital parameters (such as temperature, pressure reading and flow data) that makes use of varying systems that have diverse data formats, all in real time. Advance data analytics can run audits and identify data correlation among the different results and in any case if a deviation in the results of the data were to emerge, engineers will be notified immediately, in real time. For example, it is common for an instrument’s pressure reading to fluctuate. Instrument’s pressure reading could also irregularly plunge due to ordinary situations such as a spike in production. However, leakages along the pipeline could also cause pressure readings to drop. With advance data analytics, engineers are able to determine if such major shifts are justified. Adopting new technology always come with anxieties. It is always easier said than done. Although the idea of running advanced data analytics may seem ideal, it is not without its challenges. In order for all the varying hardware to get connected, it has to comply with a single universal format that allows data to be unified. This might be expensive if you need to hook up current legacy hardware to new technologies that may not have the compatible specifications to begin with. Now, who says out with the old and in with the new? 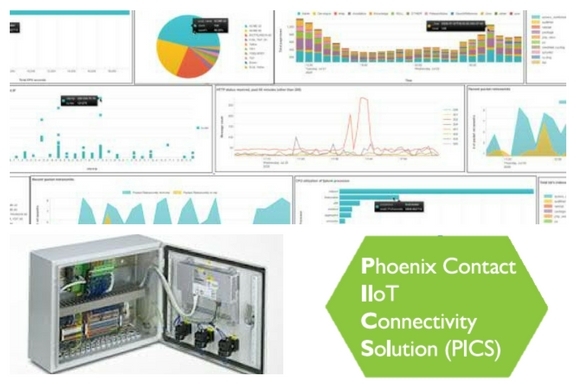 With Phoenix Contact’s revolutionary IIOT Connectivity (PICs) Box, we can assist clients by saving the hassle to consolidate hardware from different manufacturers and get them connected to new technology, within seconds. Our PICs combines new technology such as Controllers and Sensors and affix them with your legacy equipment so that data could be read by our software, how you want it, the way you want it. Who says connecting to IIOT needs to be expensive and complicated? With our PICs box, you’ll convert your backward refineries into Smart Refineries of tomorrow. Don’t believe us? Request a free trial of our PICs box and experience IIOT connectivity made easy for you today! To download our IIOT Informational Booklet (which contains our IIOT starter guide via PDF) submit your email below and we'll send you a copy via email, absolutely FREE! 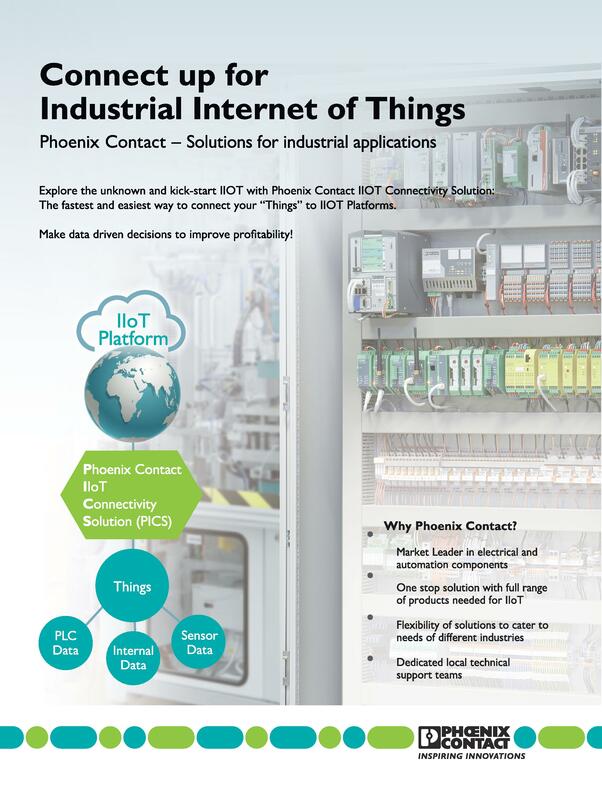 By signing up, you'll be the first to receive exclusive updates and articles regarding IIOT technology from Phoenix Contact. You will also be given the opportunity to join our invitation-only seminars on IIOT, onsite demonstrations, and a sample of our PICs (Phoenix Contact IIOT Connectivity Solution) box for a limited period. Don't worry about cost no more! Try out our IIOT systems before making a decision. What is a shunt reactor controller? I recall having the same question running through my head when a customer told us about what he was trying to do. Well, before knowing what a shunt reactor controller does, let us look at what exactly is a shunt reactor? Some of you might wonder “Why does it look like a transformer?”. Yes, you are right, to a certain extent, because a shunt reactor does have similarities with a transformer in terms of its construction. However, they are both very different in terms of their functionality. While a transformer is used to efficiently transfer power from one voltage system to another to cater for the application required, a shunt reactor absorbs reactive power generated from the source i.e. motors, generators etc. What is reactive power and why do we bother to absorb? That might be the next question to ask. Before going into that, we need to understand that in an AC circuit, there are both active power (or real power) as well as reactive power, in which the active power is used to power up a system. To understand this from another perspective, think of it as a pint of beer where the beer is your active power and the reactive power is the foam. 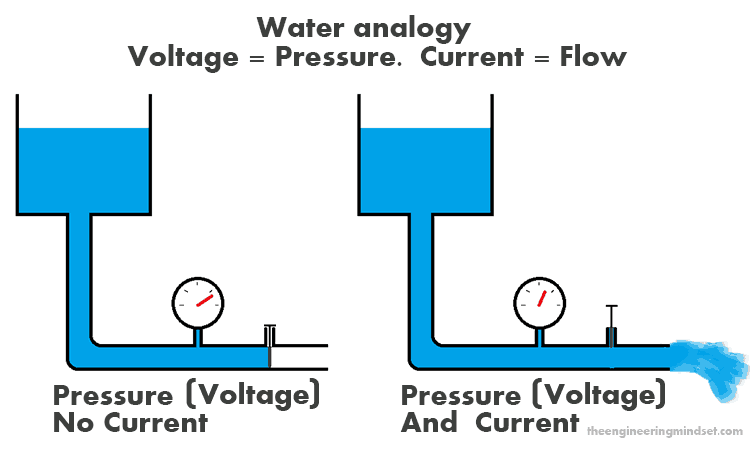 Let’s put water piping system as an analogy to electric circuit, and voltage is the ‘water pressure’. A certain level of water pressure is required in order for the water to travel across the piping system to the designated location to perform certain task, such as flushing your toilet bowl. Similarly, voltage plays the same role in an electric circuit to ensure that active power can be supplied to run any equipment or device. In this case, reactive power is the key element to maintain the voltage level in a circuitry. Hence, instead of using the word ‘absorbing reactive power’, shunt reactor is rather used to stabilize or compensate the level of reactive power in an electric system. Rewinding back a little on how this shunt reactor controller came about. It started with a normal enquiry sent in, asking for a voltage transducer. We followed up with a visit to the customer to understand further. He showed us the solution that he was going to implement for his end user who runs a palm oil refinery. This was an existing solution in another plant where it was used to control the output of power that being transferred back to the grid from the bio-gas generation using the effluent of palm oil. During the day, when most of the equipment in the plant is running, the whole electric system is highly loaded and more reactive power is consumed. Thus the causing the voltage to drop. However, whenever there is less equipment running, less reactive power is consumed and hence the voltage increase. This is the time when a shunt reactor has to be switched on to compensate the reactive power in order to maintain the voltage level at a particular rating. Each shunt reactor has a fixed rating. Hence, putting several shunt reactors together and adding controls to it can achieve different reactive power compensation at one time, depending on the system load. This whole solution is the basic working concept behind a variable shunt reactor, however cost is always a concern when it comes to such solution. His idea was to duplicate the same solution in his project. Looking at the pictures he showed us, we believed that it was possible to be implemented with the range of products that Phoenix Contact has to offer. Hence we came up with the solution concept diagram with a brief program flow. ILC 171 controller – The processing unit to control the shunt reactor via relay and contactor. MCR voltage transducer – The main component to take in voltage from the system and convert it to readable value for the controller. UNO power supply – Main power source to the controller and other peripherals. TP 3150 Touch Panel – Serve as a HMI for the user to control the shunt reactor controller and display of current value of the system. From a simple transducer enquiry to a shunt reactor controller project, we believe that with the available resources and wide range of product that we have, Phoenix Contact is able to customize the solution that is fit for your application. Want to know more about how we can help in your next solution to your customer? Feel free to drop us a feedback below or send us an enquiry. Who knows your simple component enquiry for your project could be our next solution to you! Salt and water are the natural enemies of most man-made product and in any marine environment, you will find these in abundance. Saltwater will corrode all manners of metal over time. Therefore, to qualify for marine certification, any product has to pass stringent test. Consequently, for any insurance to be arranged or licenses to be issued, it is necessary for ships and off-shore platforms to be surveyed and certified to international and/or national regulations by one of the marine classification boards. To fulfill such exacting requirements, Phoenix Contact offers the TPM 3000 series Touch Panels. Designed for maritime applications, these Human Machine Interfaces (HMI) were specially tested and approved for shipbuilding. Available in a range of sizes (4.3″, 5.7″, 7″, 10.4″, 12.1″ and 15″), each model features two buttons for dimming the display brightness, an external horn, and on the rear, a floating output for connecting external signal generators. Floating output for connecting external signal generators. With wide choices of display sizes and range of functions, the TPM 3000 series will provide you with user-friendly and reliable operation, monitoring and alerting while at sea. The robust TPM 3000 series are designed for demanding applications on board ships. 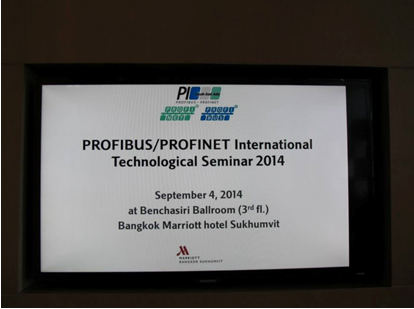 The PI Association Southeast Asia conducted a Profibus / Profinet Seminar in Bangkok, Thailand on 4th September 2014. Coincidentally, during the same period, there was also another event held in Bangkok called the Oil & Gas Thailand (OGET) from 2nd – 4th September 2014. Coming up to this event, I was really a little worried whether the turn out for this event was going to be good due to the other event. Even though the online registrations were fully booked, sometimes, you never know! Phoenix Contact has added several new outdoor web panels to its HMI product range. The panels feature front surfaces protected against dust and splash water (protection class IP 67) and an anti-glare display that can be read in full sunlight. Phoenix Contact has expanded its HMI product line to include a new performance class: the TP 5000 series. In addition to the high-performance Intel® Atom™ 1.6 GHz CPU, these devices set themselves apart as a result of their wealth of functions. With its TP 3000 series, Phoenix Contact is presenting the second generation of its family of touch panels. The devices set themselves apart as they can be used with a wide range of fieldbuses. Profibus, MPI, CANopen, or serial interfaces are optionally available. Furthermore, there is a connection for additional Ethernet-based drivers. All devices are factory equipped with one Ethernet and two USB interfaces. Phoenix Contact rounds out its range of web-based operator panels with 10- and 15-inch versions. This means that more display area is available for visualizing basic applications. The larger display area has the advantage that fewer process diagrams have to be configured to display all operating data. For operator panels with small displays, information is distributed across various process diagrams.